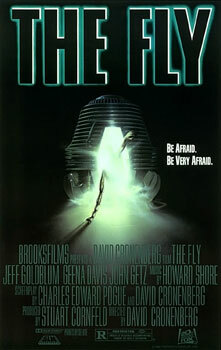 31 Days of Horror – Extra Bits: Make some Brundle Juice and Goldblum’ing Onions for your The Fly viewing! Hey folks, I’ve been doing a lot of scouring the internet for awesome horror-themed recipes. There is something special about creating a meal that matches the scary movie you are about to watch. I came across a tremendously entertaining website called Slash & Dine, where they are all about creating themed recipes for scary movies. I have tried a few now, and I have to say, damn good food and damn good fun! I found a page on Slash & Dine’s website that is all The Fly themed! I am going to leave the recipe for Bundle Juice at the bottom of this page, but feel free to check out the site to learn how to make Maggot Sliders and Jeff Goldblum’ing Onions! This recipe was published by Nicole & Megan over at Slash & Dine. 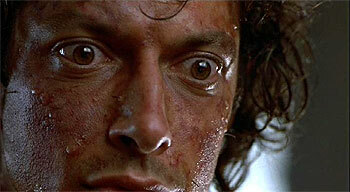 For Maggot Sliders, Jeff Goldblum’ing Onions and more awesome recipes, click here. For more 31 Days of Horror, click here.